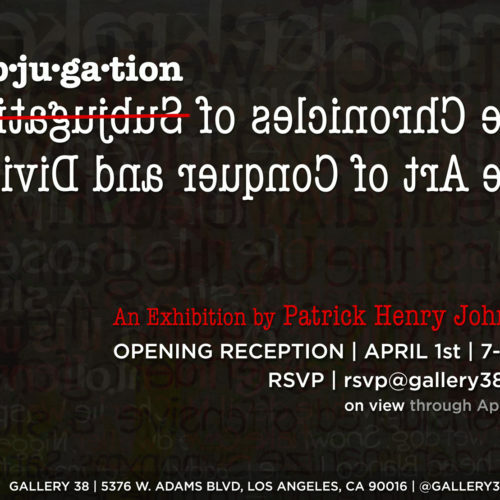 Gallery 38 is pleased to present Patrick Henry Johnson in his solo exhibition, The Chronicles Of Subjugation: The Art of Conquer and Divide!, featuring assemblage installations that challenge the presence and the way we react to race and prejudice in our society. Using mirrors as a way of interpretation, it forces the viewer to see themselves in the work instigating a conversation between themselves and the content of each work. In almost a performance, the viewer’s actions and/or reactions provide the final stage in helping to complete the artist’s vision.